Divorce is difficult to get through on an emotional level, having to deal with the legalities, in addition, can be overwhelming. Robert Vukanovich Attorney at Law has more than 25 years of experience as a divorce attorney in Vancouver, WA. He has the expertise to protect your rights and the compassion to understand what you are going through. He takes the time to thoroughly explain the options and proceedings, ensuring you are at the helm of each decision. While divorce is never easy, Robert eases the process for you while aggressively pursuing your best interests and those of your children. Robert has expertise in litigation and negotiations. 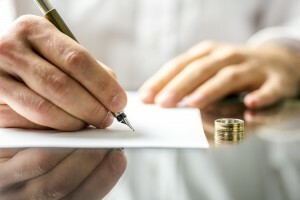 He handles both divorces that are uncontested as well as those that are contentious. He diligently works to obtain a fair settlement on issues such as: child custody, spousal support, parenting plans, division of assets, debt repayment, and more. Protecting Your Rights – Robert and his staff make sure you understand your rights and the options available to you. When you make a decision on your preferences for asset division, the living and visitations arrangements for your children, and other important concerns, his representation will focus on getting you those results. Avoid Mistakes – Modifying the outcome of a divorce settlement is very difficult once it has been settled. Having too little or no representation can leave you dealing with unfavorable outcomes for years. It is important to get the details right the first time. Our divorce attorney explains things in plain English, so you can make well-informed decisions. Solid Representation – No one can guarantee the outcome of a divorce proceeding, however, having an experienced divorce attorney on your side allows you the peace of mind that your rights have been well represented. Protect Your Interests – Robert and his dedicated staff put you first. They are educated in every aspect of local and federal law as it relates to the dissolution of marriage in Washington state. They aggressively protect your rights. Experienced Negotiations – Not all divorces are head-to-head battles. Many times they can be settled out of court. Nevertheless, a skilled negotiator goes a long way in easing the process and ensuring a fair and favorable outcome. Provide Objectivity – Divorce is emotional. It can be difficult for individuals to handle impartial negotiations in a way that adheres to the law and protects the rights of all involved. Robert is able to see beyond the emotions and helps you view your case from a long-term endpoint. He helps you get through the process without making demands or allowances you may come to regret. Efficiency – Legal proceedings come with specific deadlines and processes. When these are not met, it significantly stalls the process. Having a divorce attorney keeps you on track with those details. It also helps keep negotiations moving between you and your spouse by using a third party rather than direct communication that is more easily derailed by emotional complications. Contact us today to talk to an experienced divorce attorney in Vancouver, WA.